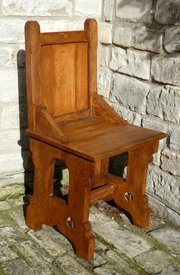 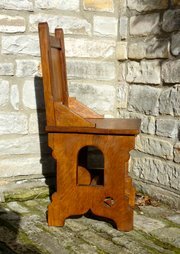 A Victorian gothic oak hall chair, dating to circa 1880. 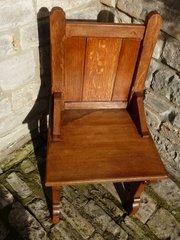 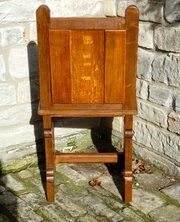 A strong solid chair with a great look to it, it is presented in good condition, having been restored and re-polished. 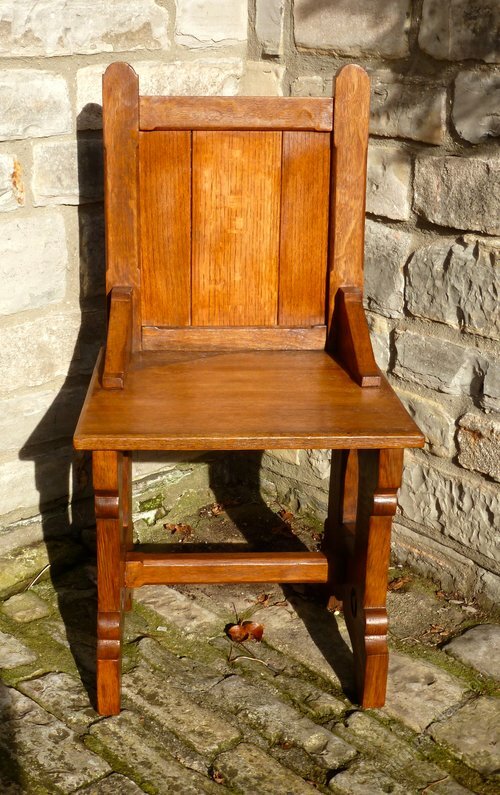 There is some marking to the seat, but not particularly noticeable. 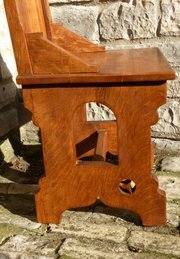 It measures 89cm high, 47cm wide and 44cm max deep.